Portrait Of Highland Straight Fluffy Cat With Long Hair And Round Sunglasses. Fashion, Style, Cool Animal Concept. Studio Photo. White Pussycat On Violet Background. Foto Royalty Free, Gravuras, Imagens E Banco De Fotografias. Image 113058770. 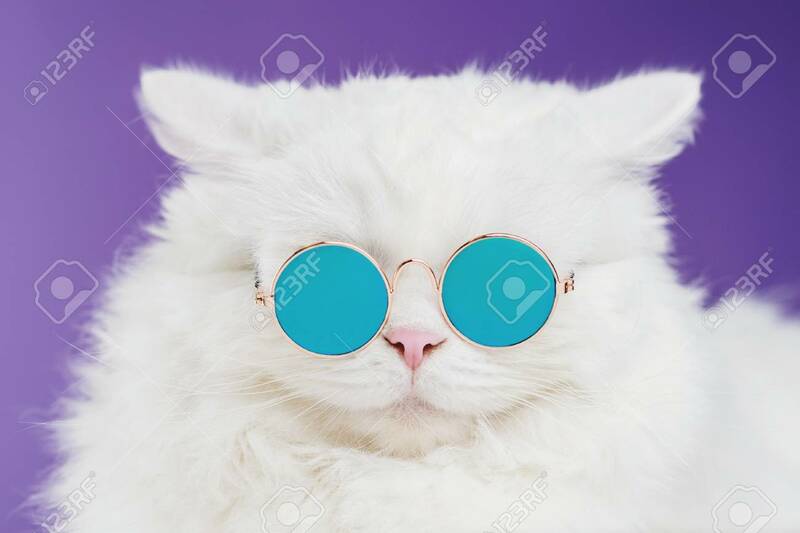 Banco de Imagens - Portrait of highland straight fluffy cat with long hair and round sunglasses. Fashion, style, cool animal concept. Studio photo. White pussycat on violet background. Portrait of highland straight fluffy cat with long hair and round sunglasses. Fashion, style, cool animal concept. Studio photo. White pussycat on violet background.